The bass bar is a piece of wood on the underside of the faceplate or “belly” of stringed instruments such as violins, violas or cellos. It runs along the bass string of the instrument down to the bass end of the bridge, counter-balancing the pressure of the sound post under the treble end of the bridge, reinforcing the top plate and allowing extra string pressure. As the top plate vibrates especially with the lower pitch strings, the bass bar adds to the resonating of lower pitches. Along with the top plate, bridge and sound post, the bass bar is vital in enhancing the sound of stringed instruments. The original violins built by Stradivari and Amati lacked the kind of string pressure that is standard in violins today. This is due to the lengthening and deepening of the bass bar, its design evolving in the 18th Century. 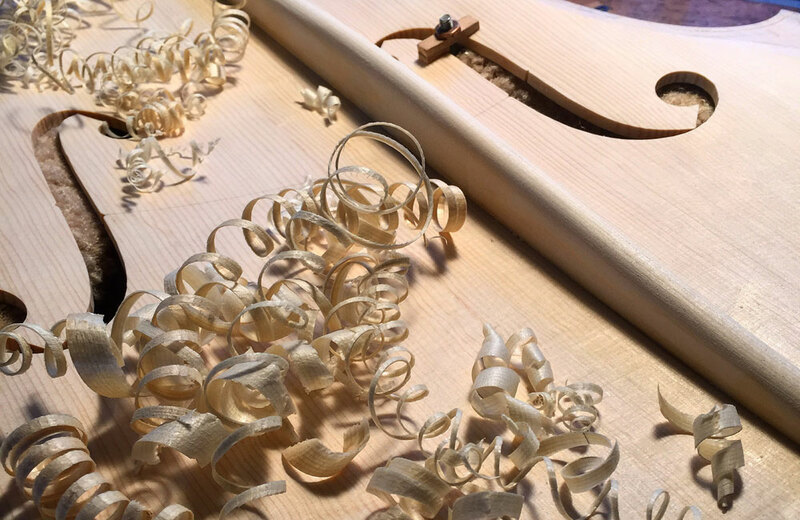 At that time, the tension of the violin’s strings was about equal to a weight of 63 pounds, while nowadays the tension is equivalent to more than 80 pounds. Consequently, bass bars on older instruments have been replaced, as modern violinmakers can now construct bass bars at the same quality as the original masters. 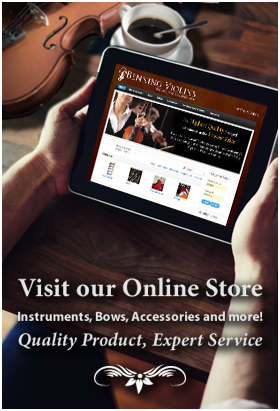 There are several indicators that the bass bar in violins, violas and cellos may need replacing. The lower pitches may have lost their edge, but that could also be a sign of needed sound post adjustment or string replacement. Another clue could be a sinking in the top plate on the bass side, or a bulging of the arch forming at the upper curve of the bass f-hole. The bass bar is meant to prevent these by supporting the top plate and retaining its natural shape as it flexes. A more serious issue is cracking along the bass bar, which requires a full bass bar replacement using reinforcements, gluing and cleating the crack—a major undertaking.